The best way to get started and learn is to listen to amateurs on the radio bands, read about Amateur Radio, or best of all, meet and speak with radio amateurs in your area. Most amateur radio operators will welcome your interest and take pride in their ability to "Elmer" (or teach) newcomers the ropes to get them started in the hobby. They can explain the license requirements in your country, guide you in preparing for any examinations, and advise you on what to consider when selecting your first radio. It’s easy to get on the air and we’ll provide some links below to information to help you learn more. 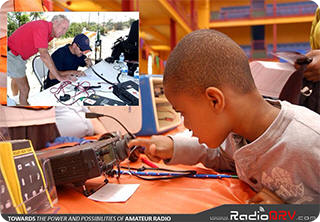 AZARA works to maintain a list of amateur radio resources in all countries of the world. Click the link below to locate amateur radio resources near you.